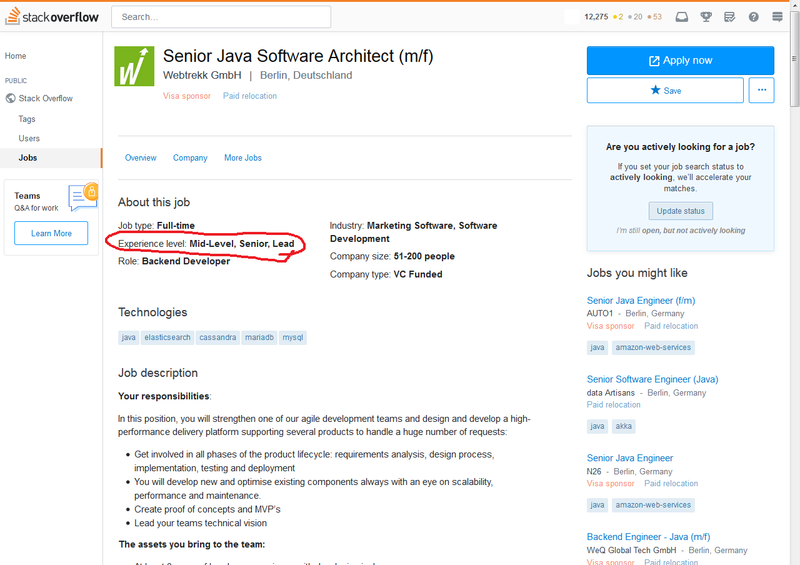 Even if I set the experience level of jobs I'm searching for to be junior to mid-level, I still get at least a quarter of listings asking for senior developers. then I no longer receive that job listing. Not the answer you're looking for? Browse other questions tagged bug jobs . Search for specific job listings with a given technology returns fewer results than search for companies using that tech?